I tweeted a late night thought this week that I really didn't think anyone would notice. It's a tweet I almost deleted because I was afraid people would take it the wrong way, I was worried that it would be misunderstood and it was literally a tweet about my actions being misunderstood. Sometimes I worry that sharing the ‘wins’ in my class comes across as bragging but really I LOVE when other Ts share the things that go well in their class or the amazing things they’ve tried! I learn so much from celebrating the success of other teachers. Let’s all keep sharing! I did not expect the number of retweets, comments, or likes this tweet would get and the response to it has left me feeling two very different things. First, I feel uplifted by the support of #edutwitter to continue sharing out the things that happen in my classroom, the lessons I create, and the work I am doing. And at the same time, I also feel really disheartened by the number of teachers who felt exactly the same way. I've tried to share both the successes and the challenges I have faced in my classroom in the hopes that my trying out something new or different and reflecting honestly on it may help someone else figure out if it will work for their classroom. On Twitter, I share lessons I've created and blog posts I've written not only to share what I've done that works for me or where I have struggled but also to get feedback and suggestions from other educators. My short experience as an educator has taught me that the best resource for teachers is other teachers, regardless of content area or grade level, I often find myself being pushed, inspired, and supported by teachers from all backgrounds and I know I am a better teacher because of these experiences. But almost every time I go to share a lesson or idea, I hesitate and worry that by posting it others will see it as shameless self-promotion or bragging. 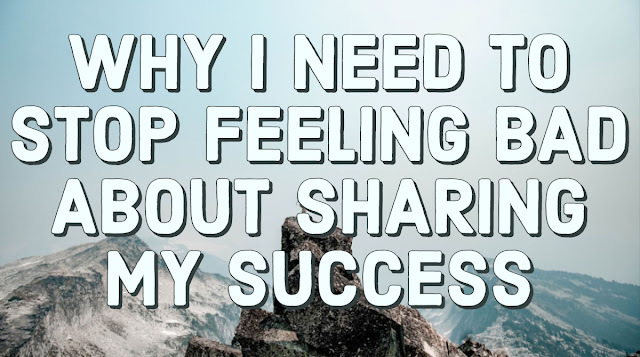 I worry that others will think I am trying to brag or show off and this feeling in my gut sometimes stops me from sharing what is happening in my classroom. What's odd is I worry more about this than about teachers being critical of my work. I appreciate critical analysis and feedback because I know it will help me improve and grow as a teacher. But I think the concern about what people might say about you in the copy room is what keeps many of us from sharing more. I worry that my intentions will be misunderstood and that people won't see that I share for the same reasons I do almost everything in my teaching career: to make the experience in my classroom more meaningful, more engaging, and full of learning for my students. I know I shouldn't care what others think but it is really hard to know that there are colleagues of mine out there that might not see that the things I do are out of a passion for teaching and learning and if they believe that my intentions are anything but that then how could I ever convince them to engage in conversations with me or collaborate with me to make our classrooms and schools a better place. And maybe that is a "them problem" and not a "me problem" but it is a problem if it keeps educators from coming together to collaborate and work together. Teaching is not a competition and those of us sharing what is happening in our classrooms aren't out there to win gold stars or recognition. We are sharing our successes so we can learn and grow together. We are sharing our successes because they often mean our students have accomplished something worth celebrating. We are shouting about the positives because this job is hard and we have to share the successes in order to keep our positive momentum going. We have to keep the positives loud and celebrate them so we have the strength and energy to be there for each other when things get tough. And by sharing our successes we can learn and grow together and then maybe each year things will become a little less challenging. There is a whole other argument to be made here about the need to build our own narrative of education when so many on the outside of education are painting pictures of teachers and schools that are inaccurate and detrimental to our profession, but that topic would take a whole other blog post. So for now, I am going to stand by my decision to keep sharing as so many amazing educators have encouraged me to do after reading that one little tweet because we are better together, we do our best work when we share and learn from one another, and we can't do those things unless we are willing to open a door into our classroom and share how it is going. Success in my classroom is not about me, it is about how something was done that can help students learn. I am done feeling bad when I share these stories. I am done feeling worried that others might think I share only for my ego. I share for the kids. I share for my colleagues. I share because I want to hear about your classroom wins and struggles so we can learn and grow together. Thank you all for the kind words, support, and encouragement. I feel so lucky to be a teacher. Over the past several years I have read a lot of books and articles on grading practices and while I have written a lot about what I am doing in my classroom I feel the need to share some of the books that inspired me and still help me on the path to more equitable grading practices that encourage learning over points. 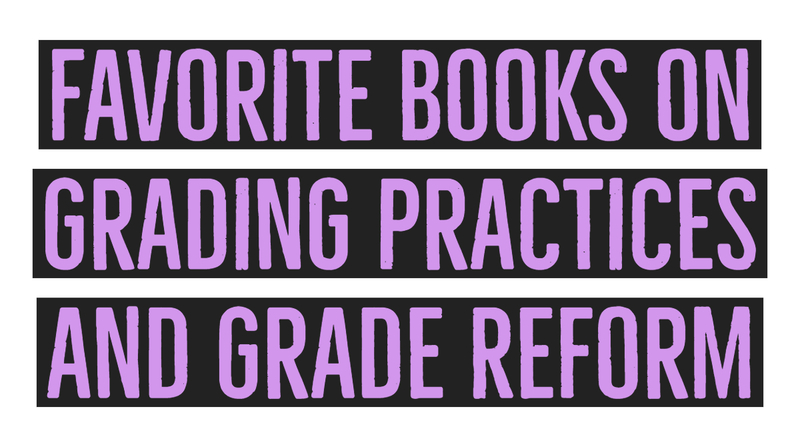 So today, here are three books that helped me establish my grading practices. This book remains one of my favorites. It is published by ASCD which is an organization that has tons of resources on grading practices and assessment. Vatterott does an incredible job of addressing the culture, why, and how of grading practices and has the research and examples to back her claims. 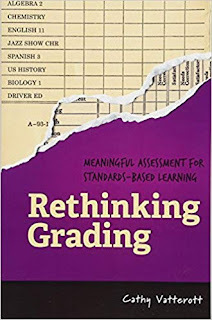 This book does an excellent job of explaining how going standards-based means you don't just shift how you grade, you also have to shift how you teach. 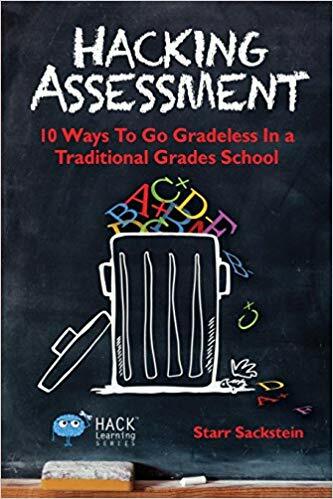 This book also gives fantastic examples of how to approach assessment and how to get students to take ownership of their learning. I love the use of a reflection form like this one that helps students see where they are at. While I have taken a different approach to grading practices than Starr Sackstein it is impossible for me to leave her book off this list. 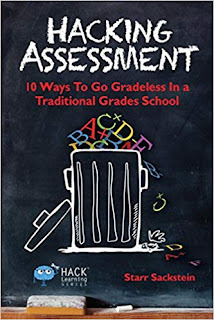 Hacking Assessment was one of the first books I read on grade reform where I walked away ready to try bold new things in my classroom. Her book doesn't dive too much into the research but instead gives you a quick guide to what she does in her classroom and how to do it (she even gives examples from other teachers and other subject areas.) 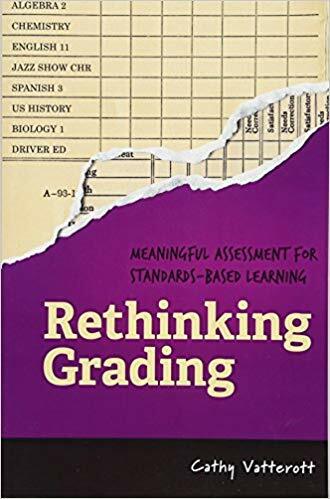 A lot of the books out there on grading come from those who are removed from the classroom and have collected the work of others but with Hacking Assessment you get a real teachers perspective. She is also a fantastic twitter follow with lots of inspiring conversations, questions, and articles posted regularly. What still resonates with me from this book is how passionately Sackstein writes about creating learning spaces that really allow students to grow and learn from failure. "It is essential that we develop a learning space where failure is positive, as it is a catalyst for growth and change. Students need to recognize that taking a risk and not succeeding does not mean they are failing: It means they need to try another way." 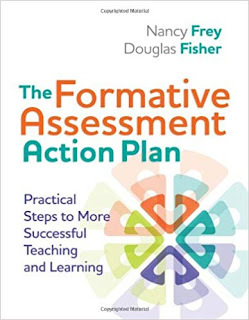 I love the work of Fisher and Frey and their work on Formative Assessment took everything I learned from one of my favorite books by Marazano and helped me really understand how to make it work in my classroom for my students. Their work is well researched and thoughtful but also full of practical examples of how to do the work in your classroom. 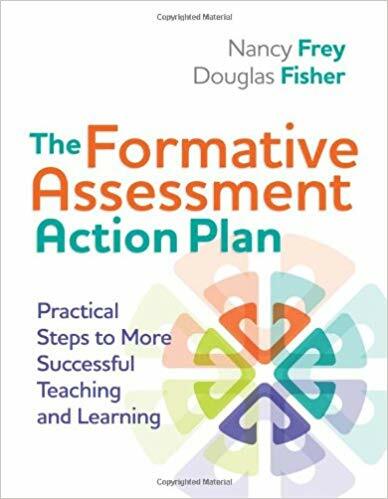 This book explains not only the power of formative assessment but best practices on how to create a system that empowers students to get the most out of formative assessments in your classroom. This book also brings in how the PLC process is essential to standards-based learning being the most impactful and powerful and gives examples of how to make it work and what to focus on. "Without a clear purpose, students are not motivated and do not see the relevance of the content they’re expected to master." It is the week before Spring Break and my students and I are hitting that annual frenzy and exhaustion that usually hits hardest those last 5 days before we get one whole week off. In planning this week, I knew I needed to level up, I needed to bring something exciting and engaging while also ensuring my students were learning and reviewing content and skills. I knew I needed something fresh, high energy, and out of the box. First, there is this guy, John Meehan does these AMAZING lessons called #QRBreakIN that take the board games students know and love and level them up into a series of tasks and challenges to help them learn content. His stuff is so detailed and incredible and even led my colleague to create a #QRBreakIN for a PD on Google Basics she is hosting for our teachers. Then I saw Jessica Buckle post what she created inspired by the work of Tisha Richmond and I wanted to be a student in her classroom. A magical Harry Potter themed game that helped stuednts learn?!?! Those are the sort of lessons I look for, the ones that make me wish I could sit in the class and be a part of it. I mean, look at these cards she created to go with the game?!?! but I also knew I was exhausted. It's been a particularly challenging year for me, not anything too life-altering, just a lot of medium-sized things happening in all aspects of my life that has me feeling a little more worn out than usual and to top it off I have been sick for about two weeks now with a cough that just won't leave me. So I was looking at all these amazing and inspiring ideas and I thought to myself: I can't do this level of work right now. I just don't have it in me. 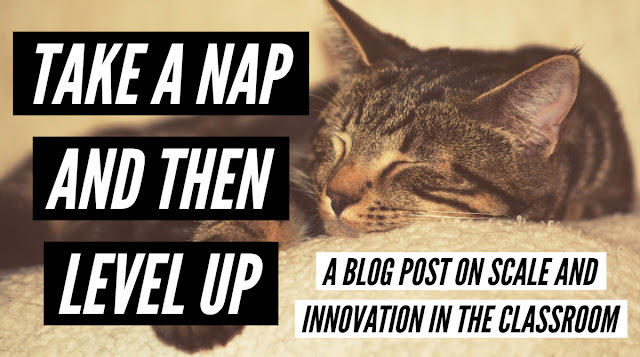 And so I took a nap and when I woke up I looked at the giant list I had made of ideas and I realized that I could still do something awesome, engaging, and really unique inspired by some of the things I had seen. I just needed to scale it down to what was manageable for where I was at right at that moment. And that is what this post is really about, sometimes the best way to try a new lesson or activity is to try it in a small way with your students first. This might seem obvious but I don't think we as teachers allow ourselves enough to take on innovative activities or technology-based lessons in baby steps. When we talk about innovative lessons and activities in the classroom, you don't have to go all in the first few times around, scale the activities down it what is manageable to you and then you can always build on them later. So, I looked at all the crazy amazing gamification going on and created a one-hour activity for my students. I had just purchased eggs to use for my AP review season coming up (because John Meehan is amazing) and realized that I didn't need to go build a whole gameboard or create anything as amazing as this, I could use the different color eggs to store instructions for review tasks and use the eggs as a silly and fun way to get students the instructions. I used really ridiculous stickers as prizes for each round and had a First Place prize bag that was stapled closed so they had no idea what they were competing for. It was full of those food shaped erasers, a few pieces of mini-candy, and lots of stickers. I teach high school and they were surprisingly over the moon about the prize. Instead of creating an activity that would have taken me hours to create, I was able to take elements from other activities to up what I was in general already planning on doing. The day was amazing, kids were engaged and excited and most importantly they learned. When I look at the amazing work being done to increase engagement and fun in the classroom I am often overwhelmed by the hours of work others are able to dedicate to lessons. Sometimes I am at that level, but a lot of times I am not and that is okay. But when I am not at that level it doesn't mean I can't level up by taking the magic I see happening in classrooms all around me and scaling it to what I can do with the time and resources I have available to me. This is how I approach lessons with new tech, crazy engaging activities, and long term PBL. 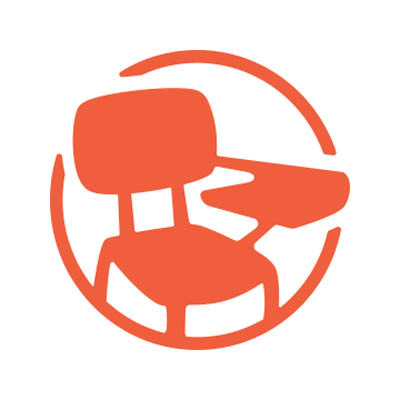 I ask myself how can I level up my classroom to make a better experience for my students while also keep it to a scale that is manageable and attainable for me? And so much of it is just recognizing that we don't all have to do it all to make our classrooms awesome. So give yourself permission to not do it all, give yourself permission to try just a little bit but maybe not go full in. Give yourself permission to start somewhere and see what happens next because you're an amazing teacher who is already doing great things so if you're ready to try something new it is okay to start small. I teach AP World History and World History for English Language Learners. I love using edtech in the classroom, am obsessed with Disney, love Broadway, write this blog, and believe that relationships matter most in the classroom.